Here are some of the most common questions I’ve been asked over the years, as well as questions that *should* be asked (like conflicts of interest). If you have a question that isn’t answered here, please drop me an email or message on facebook. Click here if you are interested in republishing something from the blog, having an article written for your publication, or have another opportunity. I’m just starting out, where can I find beginner information? What is the perfect [insert tack item here]? After I do an LD, what do I do next? Can you please give me a training plan for either riding or running a certain distance? What are your potential conflicts of interest? Thank you for caring! Free stuff is an important topic and it’s why it’s at the top of this page. Bias can exist even when the writer is not aware or thinks there is no bias, so I give you all the information and let you decide. Renegade Hoof Boots: I became a dealer in October 2010. All posts on this blog prior to that date are completely unedited experiences with the boot and the company. Since becoming a dealer I have received discounted boots, a few free boots, and some cool swag such as pens, bags, hoof picks and water bottles. In 2013 they sponsored me for Tevis, which included paying for my entry fee and some tack, as well as the boots. This sponsorship activity was available to the larger population of renegade users, not just dealers and not just me. I’m still up and honest about renegade boots…but to assume an bias is both fair and wise. Elk Grove Milling Company: in 2010 I received several bags of free feed from them. Delyte Bites: in 2010 I received some free horse electrolyte cookies from them. This company is now out of business. Wild West Endurance Company: I’m a friend of the owner and sometimes receive her products as gifts. I also purchase her products. Books: Books here I receive for free in exchange for a review are clearly stated as such in the post. The most notable ones have been Endurance 101, Amazing Grays, and Laura Crum’s novels. Products: most products I review here I bought with my own money. Any “killer deals” and prices paid are the result of me Amazon.com stalking and acceptance of ugly colors :). If I did receive something discounted through an offer not available to the general public, or if it was free I will say so in the review. The two major example I can think of are the Orangemud pack I reviewed last year, which was a free gift from Ultrarunner podcast, and the radial hoof rasps that I received directly from the company. Blog financing: I’m not opposed to selling ad space here but so far no one has taken me up on my offer. Google Ads are responsible for all the page advertizing you see, which does not cover the entire expense of operating this blog (see further FAQ below). The donation function of the blog is open to everyone and to date only a few readers that are unknown to me have donated. No one who has asked me favors, and no brand names. I will let you know if that changes. If anyone feels as if I missed something in the above list I would appreciate you bringing it to my attention. Please email me at m.newtondvm AT gmail DOT com. I’m just starting out. Where can I find beginner information? Try looking under the category of “Greenbean”. I’ve tagged posts with this label if I thought they would be especially helpful for people just starting out. I have a Vet question…. I’m currently a General Practitioner working at a private practice in Northern California. Here’s somethings to keep in mind. As a vet I have a responsibility to my employer, clients, and patients. I’m very conscientious about their privacy. I do not give specific medical advice or comment on specific cases on this blog. If you do have a vetmed question that is related to endurance, conditioning, or exercise physiology – chances are I would LOVE to address the question as a post or respond in the comments. If you are a vet student and have questions or just need someone to connect with, I’m here for you. I’ve written about vet school that can be found in the archives and while I loved school for the most part, I just want to reassure you that life is very very good on the other side of graduation. What is the perfect Saddle/bit/pad/boot etc? The one that works for you and your horse. Sorry to be flippant, but if you are looking for the holy grail of tack combinations that will make the heavens fly open and bathe you in shiny light…then you haven’t been talking to enough people or reading enough real life experiences to realize that we *all* are experimenting *all* the time with our gear and constantly tweaking it. That being said, here’s a the list of my current endurance ride gear I use for actual AERC rides. Note that some of the specific items are pricey….if you keep an eye on the various online classifieds, its possible to pick up most of these items used. Only a few of these items were bought new. I used to buy cheaper versions new, but in the end, buying quality and waiting ’til I could find it used if I could not afford new was always worth it. Equipedic pad. Also rotate in Toklat Woolback, Haf pad, Wingz. Breastcollar, halter, bridle is either Hought or American Trail Gear biothane depending on my color mood. Round rope reins I think I bought from Distance Depot years ago. You run a lot. I’m wondering whether I too could run. How should I start? I wrote up a post on my current thoughts of “how do I start running”. You can find it here: How do I start running? I really want to do endurance but I’m scared and deal with fear issues. Don’t worry. So do I. So do most people. Here’s some posts where I talk about fear. I’ve done an LD now what? Excellent question. Here’s my response to a reader with a similar question. Can you please give me a week by week plan of how to condition for 25/50/100 miles? 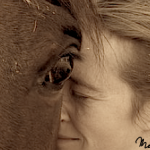 If you’ve been a reader here on this blog for long enough you know the chorus I keep repeating over and over over – it’s important to understand the underlying mechanisms of how our endurance horses do what they do – only then can you critically evaluate the methods/programs/philosophy we apply to our horses and then interpret the results. There are no cookie cutter approaches for preparing an endurance horse. What is left to us? In the beginning of “The Science of Running”, Steve Magness outlines his “Rules of Everything”. Here is my commentary on some of the ones I think are the most endurance-relevant. 1. Hype cycle: this is basically the concept that when some idea is new/popular, it gets overemphasized until it eventually falls into it’s “rightful” place. All sorts of things pop to mind – electrolytes, BCAA’s, interval training, barefoot, treeless, thick pads, thin pads…. 2. Research is only as good as its measurement, which is highly correlated with #3: “we overemphasize the importance of what we can measure and what we already know, ignoring that which we cannot measure and know little about.” And that folks, is our vet checks in a nut shell. The emphasis on HR (resting or recovery) springs to mind. The exact age a horse is put under saddle. What the magic “numbers” are for endurance horse longevity. There’s a lot we don’t’ know about endurance horses doing endurance. Some things we can easily see and measure – and as a we result sometimes forget or ignore everything we don’t know in favor of a flawed measurement that we are using only as an indicator for some process we can’t see or measure. Does a low resting heart rate *really* correlate to better recoveries and performance? Is going above 10mph during a ride *really* reducing the longevity of a horse’s career? 4. We think in absolutes – either/or – instead of the spectrum. Like I’ve said here many times – if I think something is black and white, it’s only because I don’t know enough about the subject. Do you have an absolute opinion about an issue in endurance? Or about horses? Is it impossible for you to see the vadality of the other side’s opinion? I would encourage you to at least consider the greyness of an issue. There are many hot topics on our sport – and they are hot topics for a reason. They are nuanced, complicated subjects that deserve more than just a gut reaction. This goes hand in hand with #8 – taking the extreme view is seldom good. 7. Everything works in cycles – whether you are a ride camp reader asking yourself “is it that time again when we talk about loose dogs, carrying side arms, and LD vs endurance”, or if you are an old timer who has seen the pendulum swing from too must rest, to too much conditioning, and back, everything works in cycles. There is likely nothing truly new – just rediscovery of things once done, and forgotten. Evaluate our sport with these concepts in mind and I think we are primed to make better decisions for our horse and rider fitness and preparedness. There are some other principles and “rules of training” that Magness discusses such as “Build and maintain”, “never leave anything behind”, “progress everything”, “balance” etc. They are concepts that allow you to build and individualize whole programs to YOU and YOUR horse. I would encourage you to look at his book or read my longer review in the post linked above if you are interested in how to approach a training program. When I gave myself permission to break away from published running programs and told myself that I *knew* how to get *me* to a marathon better than the cookie cutter 12 week program, it was the most freeing feeling in the world. I’ve never had as much fun running as the day I stopped following a program. When I stopped training my horse according to the “shoulds” and instead gave myself permission to adapt my ride conditioning to whatever I thought me and my horse needed to reach our goals, I started to have a lot more fun at rides because my horse was having more fun too and started performing better. I want to build a website! Any tips or tricks? For the first couple years on the blog I used Blogger to host the blog. It’s easy, quick and let’s you experiment with writing content while letting the look/function/feel of the site take care of itself. When I was just starting out, it didn’t bother me that I couldn’t customize every aspect of a blogger site because I hadn’t been doing it long enough to really know exactly what I wanted. I used Blogger instead of WordPress.com because at the time, blogger had more flexibility in customizing the look of the site without paying anything. Eventually Blogger had some bugs that I didn’t know how to fix (notably the side bar widgest refused to cooperate) and I was starting to get more brave with coding and had some ideas of exactly what I wanted, and I switched to a wordpress.org self hosted site. (I’m not going to explain that last sentence because if you don’t know what that means, you probably aren’t ready to switch from a blogger type site to something like this). A couple years prior I had built my own website using a software called Rapidweaver, but decided to use wordpress to build the blog portion since the product was more elegant and functional than I could ever build from scratch. It was a steep learning curve but the nice thing about wordpress.org is that there is enough built in templates/widgets/plug ins that you can have a functional good looking site while you learn how to tweak everything to get exactly what you want. I don’t have a coding or a tech background and I was able to make this happen. I haven’t taken any classes, read any books, or paid any money for instruction. You too can make the blog of your dreams happen with a lot of patience, googling, and time :). I’m still constantly tweaking my site and enjoy the process of figuring out how to make what’s in my head come alive on the internet. I keep a list of “things to figure out” and when I get a couple hours in the afternoon or a rainy day, I figure it out. Where/What/When/Who pictures in your header? The horse and rider across the top is me and Farley at Tevis 2009. We didn’t finish that year. This picture was taken at Robinson Flat, approximately 35 miles into the ride. On the far right is a picture taken of me while a third year vet student. I’m practicing my suturing technique repairing teat lacerations. The profile picture that appears on the side bar came about in this post. Far right: Me at my first ultramarathon at Mt. Diablo. Photo taken by lovely volunteers at Brazen Racing.